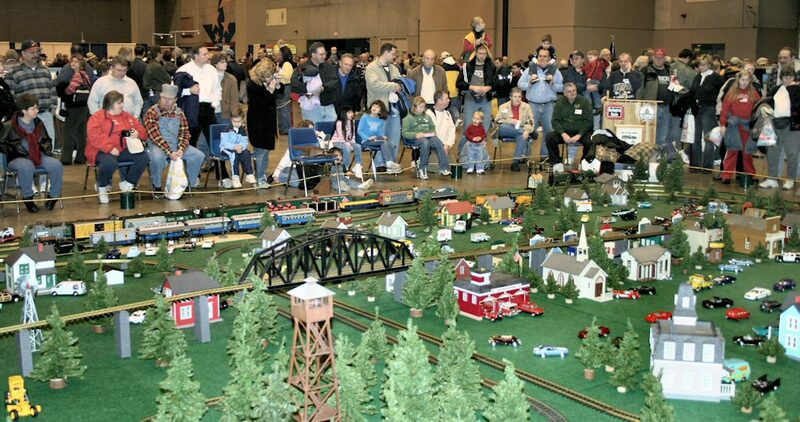 The World’s Greatest Hobby program, sponsored by the Model Railroad Industry Association, had the right idea when they selected St. Louis as the location for its second WGH on Tour event. 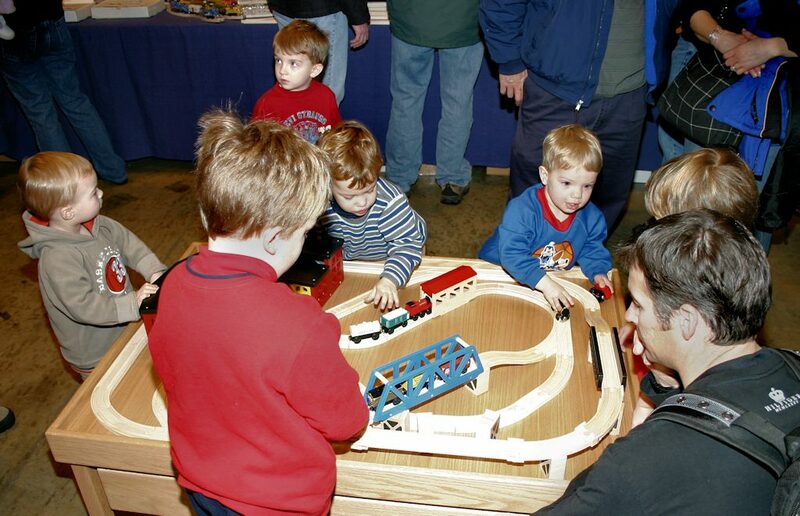 America’s Center in downtown St. Louis was packed on January 8-9, 2005, and the Gateway Division, NMRA, was there to promote the hobby and membership in the NMRA. Admission was $9 for adults and FREE for those 16 and under. 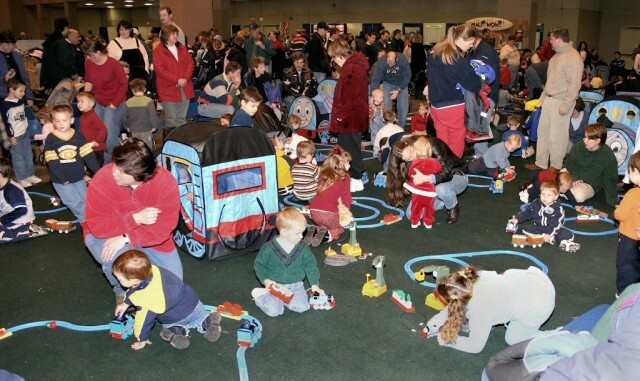 The event was widely publicized on television and in the newspapers, and a well-advertised family health event with free admission at the same time may have helped attendance as well. Show coordinator Dave Swanson said he believes the event is well on its way toward fulfilling its goal of introducing new people to the hobby. “At St. Louis, 87 percent of those who came to the event said they’d never attended a train show before,” Swanson said. 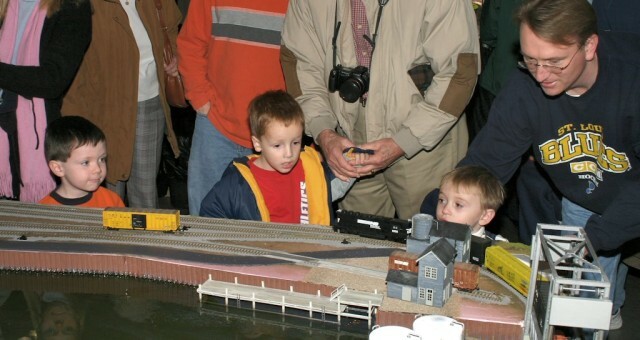 This is a program designed to showcase model railroading and is intended to be exciting for model railroaders and fun for the whole family. 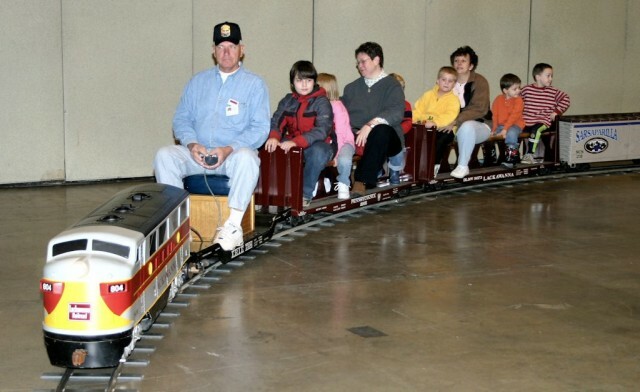 Among the advertised attractions were operating model railroads, an exhibition on the Walt Disney Railroad Story, 200 booths of manufacturers and retailers, 100 trains for kids to operate (Thomas the Tank Engine Train Playland), Choo Choo Charlie the Railroad Robot, and demonstrations, seminars, and new products. In promoting the program to potential exhibitors, the organizers have emphasized that this is not just for diehard modelers and it is not a swap meet, flea market or junk show. (And the cost of booth space for manufacturers reflects that!) The program had budgeted over $50,000 for promotion. So why did the Gateway Division, with its many “die-hard modelers” participate? Organizations like the National Model Railroad Association, as well as model railroading manufacturers and publishers, need to keep current modelers interested in the hobby and tell future and wanna-be model railroaders about its many aspects and how to get started. 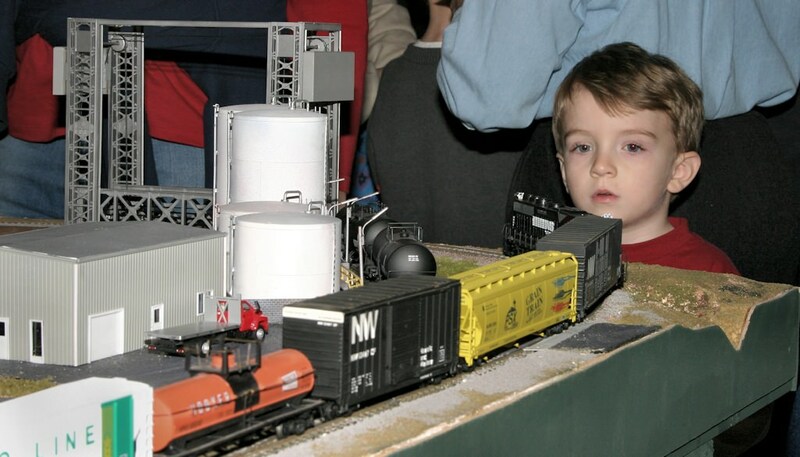 We have a lot of enthusiasm for the hobby within our membership and we should share it. Our current project railroad was on display right at the front door where we gave on-going answers on how to build a portable layout. 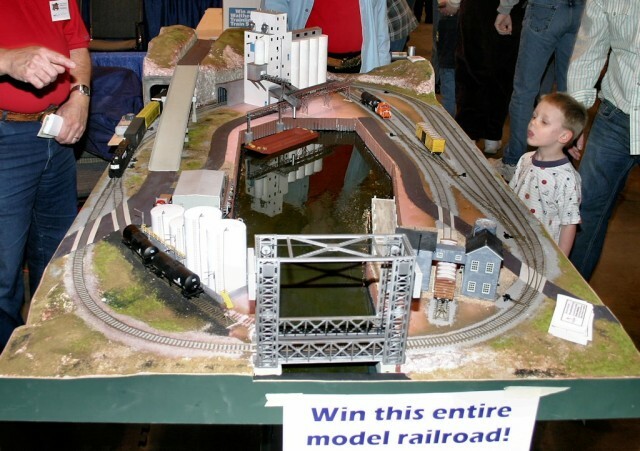 We also sold raffle tickets as our annual fundraiser, raising a total of $565, our second highest amount at a single event in the years we have been building such layouts. 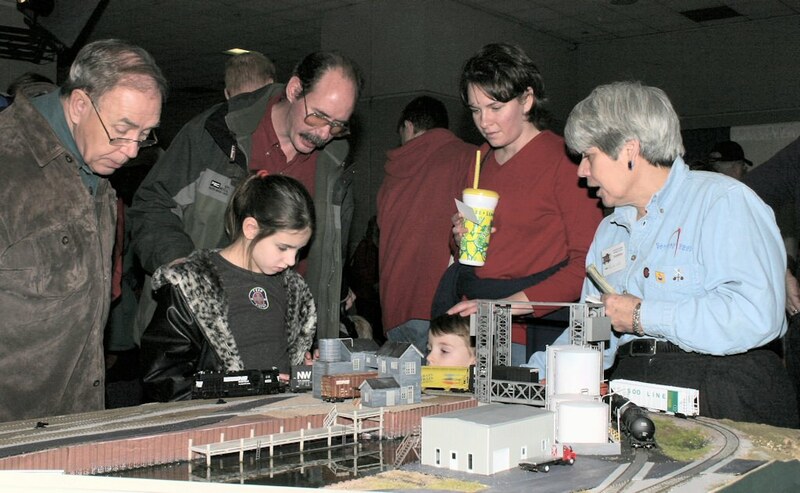 We had a 10’ x 10’ booth where we promoted membership in the National Model Railroad Association, answered questions about modeling and activities in our area, and encouraged people to check out our impressive web site. As a result we added several new members during the show and a number of people took information away with them. Who knows? Someday we may read about the latest Master Model Railroader who got his first Thomas the Tank Engine train set when he was part of the stroller crowd in St. Louis. Venita Lake models the free-lanced transition-era HO scale El Dorado and El Reno Railroad, running from Lillie, Louisiana, through Arkansas to El Reno, Oklahoma. Now retired, she has been a high school English teacher, an office manager, and a university administrator. She has worked on many division committees and conventions and is a past editor of the Gateway Division’s RPO and the St. Louis Genealogical Society Quarterly.